Have you known people to live on the edge of financial extremes? A recent college grad paid off $150,000 in student loan debt within the first three years working by never eating out, no vacations and living in his parent’s basement. A happily married couple retired before the age of 40 by going vegan, composting all of their waste, growing their food and raising bees to sell honey at the farmer’s market. Extreme saving like these situations isn’t necessarily a good thing. 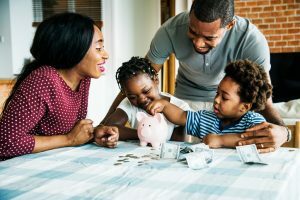 Many forget to consider that some of these financial tales of excellence were boosted with the subtle help of parents able to offset shortfalls and keep an extreme objective on target. I mean, would we be surprised if the folks who did the composting had a car that broke down, and couldn’t afford to get a new one, so their parents came to the rescue with either a new car or hand me down? You may be tempted hold these individuals on a pedestal as a mark for financial greatness, but the reality is these kinds of achievements cannot be matched and shouldn’t be attempted by most. We preach a focus on establishing a long-term and realistic financial lifestyle that can help you methodically achieve your financial goals while still living your life. Let’s try to distill the financial wizardry and just plain ludicrous story of re-using paper towels so that we can save money on Bounty for the long-term and discuss the bigger picture issues of spending. You want to take a big vacation, so you’re working hard to save. We admire your discipline. Yet, if that savings goal comes at the expense of saving for retirement, you may have a higher tax bill because of your intense focus on a short-term vacation plan. Maybe you’re too focused on saving every penny for retirement and not setting enough money aside for a broken air conditioner or a medical emergency. The last thing you would want is to save everything in a retirement account, lose your job and then not have enough short-term savings to make ends meet while you look for a new job. Not having a large enough cushion leads to borrowing and that borrowing can turn into a long-term financial disaster. From a personal perspective, you may not be joining friends and co-workers after business hours to save money on dining out. That decision makes financial sense but maybe you’re missing out on a chance to meet someone in your office to help with a promotion or a new networking opportunity to help your career. If you’re trying to repay debt extremely quickly because you ran up a credit card bill, that’s a good first step. But don’t let a few months of intense debt payoff replace real, sustained change to how you use credit cards to avoid that problem in the future. The important thing to remember here is it’s all about balance to create a good mix of saving and spending. Establishing good financial behaviors now, multiplied by years of discipline, often equals terrific financial results. Establish a meaningful financial plan that takes into consideration more the aforementioned income, savings and expenses. Work to understand how political impacts, inflation and economic growth/downturns effect your total long-term plan. Be wary of those that preach ferocious budgeting and anti-consumption lifestyles. A good financial life is about steadiness and long-term planning.